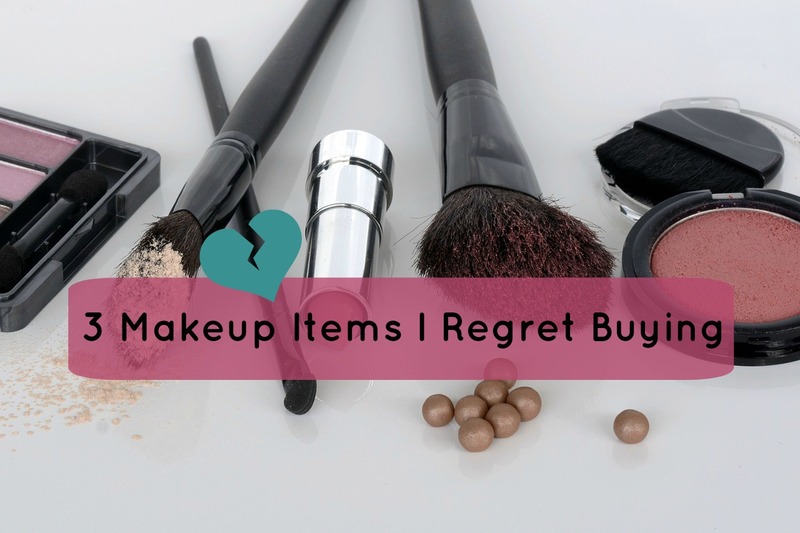 Just like fashion, it's easy to sometimes buy makeup that we later on regret. We all know one or two products that we hear everyone rave about and then we try it ourselves and we don't love it as much as everybody else. Or maybe one day we went into our favourite store and saw our favourite brand had a new product and got it in hopes it would be amazing and then turned out to be really bad. When it comes to these 3 products on this post, one of the two things I mentioned happened with it. That's actually one of the reasons why I always try to write reviews about products because I feel like I can help someone who wants to buy it by giving my honest opinion on it. Tal como a moda, é fácil por vezes comprar maquilhagem que mais tarde nos arrependemos. Todos conhecemos um produto ou dois que ouvimos toda a gente a falar e a adorar e depois experimenta-lo nós próprias e não o adoramos tanto quanto todas as outras pessoas. Ou talvez um dia fomos há nossa loja favorita e vimos que a nossa marca favorita tinha um novo produto e comprámo-lo à espera que fosse fantástico e depois acabou por ser uma porcaria. No que toca a estes três produtos neste post, uma das duas coisas que mencionei aconteceu com ele. Essa é uma das razões porque eu tento sempre escrever reviews acerca de produtos porque sinto que posso ajudar alguém que o queira comprar dando a minha opinião honesta. I was in need of a bronzer and when I saw this one I decided to try it out because I love Essence and I thought I was really gonna love this. I tried it out a few times and I didn't hate it. But I didn't love it either. It's a bit too light for my skin (wow did I really say that? Maybe I'm not that pale after all!) and it's also a bit too warm. Another thing I dislike about it is the smell. It has a strong scent of coconut which I highly dislike but that's just me, I'm sure most people in the world love the smell of coconut. Once you apply it to your face you can't smell it though, so it's fine. 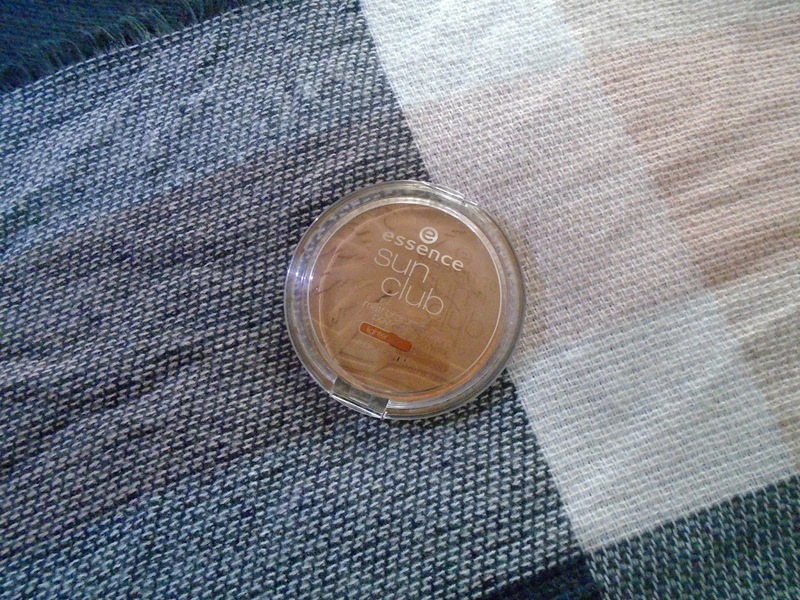 Even though I'm not a huge fan of this bronzer I still use it to warm up my face in the colder months. I contour first with my Catrice bronzer and then I go over it with this bronzer and it looks nice, so it's not all bad. Eu precisava de um bronzer e quando vi este decidi experimentá-lo porque eu adoro a Essence e pensei que ia adorá-lo. Experimentei-o algumas vezes e não o odiei. Mas também não o adorei. Era um pouco claro demais para a minha pele (wow eu realmente disse isso? Se calhar não sou assim tão pálida!) e é também um pouco quente demais. Outra coisa que eu não gosto é o cheiro. Tem um cheiro forte a côco que eu não gosto nada mas isso sou só eu, tenho a certeza de que a maior parte das pessoas do mundo adora o cheiro a côco. Quando é aplicado na cara não se consegue cheirar, por isso não tem mal. Apesar de não ser grande fã deste bronzer eu ainda o uso para aquecer a minha face nos meses mais frios. Primeiro faço o contorno com o meu bronzer da Catrice e depois aplico este bronzer por cima e fica bem, por isso não é tudo mau. I'm sure you know how much I love Catrice. One day, while I was browsing the Catrice counter, I laid my eyes on this highlighter pen. At first I thought it was for the cheeks but when I got home I realised it was for the eyes. I still tried it on my cheeks because I've used eyeshadows as highlighters before so I thought this could work. Turns out, it didn't. It didn't work on my cheeks nor in my eyes. The product is way too hard and it's hard to get a proper swatch. And even after applying it, it felt weird. It left a weird film over my skin and it was hard to take off at the end of the day. If you want a more detailed review check out this post. 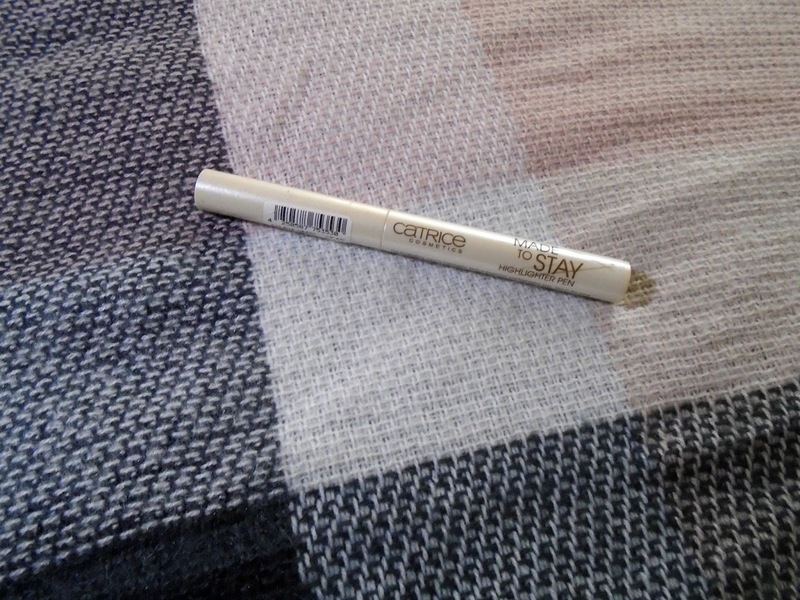 Tenho a certeza de que sabem o quanto eu gosto da Catrice. Um dia, enquanto dava uma vista de olhos na secção da Catrice, os meus olhos viram esta caneta iluminadora. A princípio pensei que fosse para as bochechas mas quando cheguei a casa apercebi-me de que era para os olhos. Experimentei nas bochechas na mesma porque já tinha usado sombras como iluminadores antes por isso pensei que podia resultar. Pelos vistos, não resultou. Não resultou nas minhas bochechas nem nos meus olhos. O produto é demasiado duro e é difícil de ter uma swatch em condições. E mesmo depois de o aplicar, ficava estranho. Deixava uma camada estranha na minha pele e era difícil de tirar no fim do dia. Se quiseres uma review mais detalhada vê este post. I had heard a couple YouTubers rave about this product and how much they loved it so I decided to try it out (that was before I went cruelty-free with my makeup). My first impression wasn't the best. 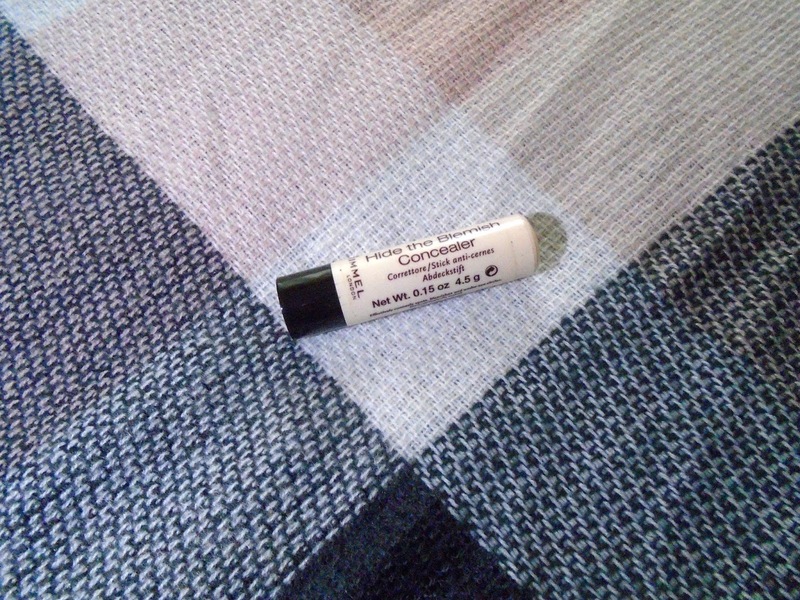 It was drying, hard to blend and made my pores look horrible. I haven't used it much since I bought it so it was a total waste of my money. Já tinha ouvido umas duas YouTubers falar deste produto e de quanto o adoravam por isso decidi experimentá-lo (isto foi antes de ser cruelty-free no que toca à maquilhagem). A minha primeira impressão não foi a melhor. Era demasiado seco, difícil de espalhar e deixava os meus poros horríveis. Não o usei muito desde que o comprei por isso foi totalmente uma perda de dinheiro. All of the pictures are protected by Copyright. Any use without given credit is punished by law. The first image was edited by me and the original picture is from pixabay.com. A real bummer about that bronzer, I don't like the smell of coconut either!